”Yes, there’s plenty going on here,” says Juno’s Ewan Baldry. 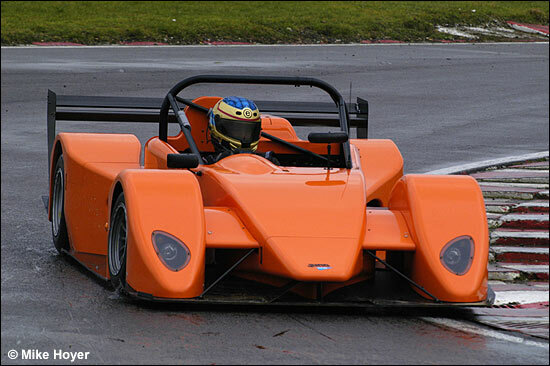 “The orange car you spotted at Snetterton last week is a brand new car. This is the first of the cars we have built for the French VdeV championship, and is the one bought by Adrian Mardlin who will be partnered by Rob Croydon. This is confirmation of a news item almost two months ago, at the Autosport Show – here. Meanwhile, Ewan Baldry has just returned from Magny-Cours, where the Mardlin / Croydon car has been running for two days at the official VdeV pre-season test. “From the timings we carried out, the car was the third quickest during the weekend. One Norma and a Ligier went slightly quicker. We are all delighted with this, particularly as this is the first run the car had in the dry. Our quickest time was a 1:43.8, which would have put us fourth on the grid for the races there last season. I think this is ok as the track temp never reached more than 4 deg C and we still have a number of performance bits to add to the car. Sam Allpass’s car will be delivered on March 10, ahead of the first round of the VdeV at Jarama (March 18-19). There’s other (non-VdeV) Juno news too. ”On Thursday (March 2) we will shakedown Mike Roberts’ new Nissan-engined Juno SS3-V6,” continues Baldry. “The car has been fitted with a 400bhp AER Nissan V6 LMP2 engine, and Mike will race the car in selected rounds of the Britsports series, as well as the Sports Car Challenge. ”We are also currently building a new works car, that will be driven by Dave Mountain and Clint Bardwell. Dave is preparing a 3.4 litre version of the Jaguar V6, and with an expected output of 420bhp, it ought to be a flying machine." And finally, Jeff Davies is looking for a partner to share his SS3-V6 in Britsports this year. Since buying the car at the end of last year, he has won every race he has entered, including two Britsports Winter Series rounds. Anyone interested should call Ewan Baldry on 07971 531763.